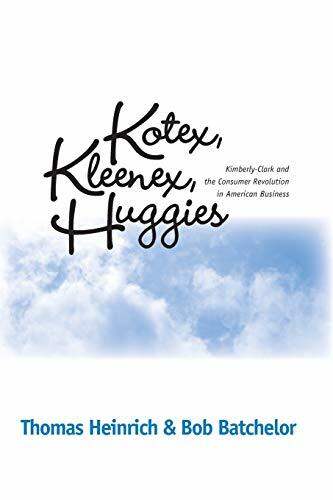 At the core of Kotex, Kleenex, Huggies is the riveting story of Kimberly-Clark, a Wisconsin paper company that became a pioneer of personal hygiene products in the twentieth century. Its first big commercial success was Kotex, which came from sanitary wound bandages developed in World War I. Similarly, Kleenex evolved from Army gas mask filters into disposable handkerchiefs and became the company's most reliable profit maker. Finally, Huggies turned Kimberly-Clark into a leading player in the highly competitive diaper market of the 1970s and 1980s. 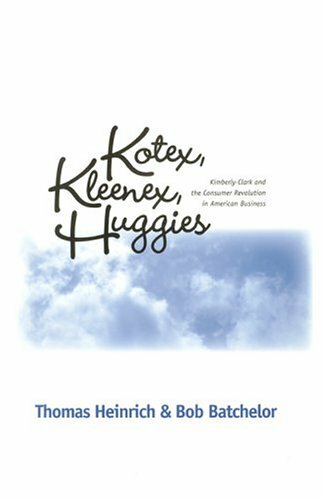 In addition to tracing Kimberly-Clark's fascinating history of technology development and product diversification, Heinrich and Batchelor explore momentous changes in consumer behavior and marketing. When Kotex first arrived on the scene in the 1920s, menstrual hygiene was burdened with cultural taboos that made it impossible for many women to ask the (inevitably male) pharmacist for a sanitary napkin. To solve such vexing marketing problems, Kimberly-Clark invented the artificial word Kotex and inserted it into consumer vocabulary through massive advertising campaigns. Making it easier for women to shop for the new product. Kimberly-Clark also recommended that stores place boxes of Kotex on the counter where women could help themselves without embarrassing conversation, thus pioneering the concept of self-service. Thomas Heinrich is the Robert F. Friedman Professor of American History, Baruch College. Bob Batchelor is a business writer and historian.